A multipurpose microphone paired with plenty of cable and a sturdy tripod stand. 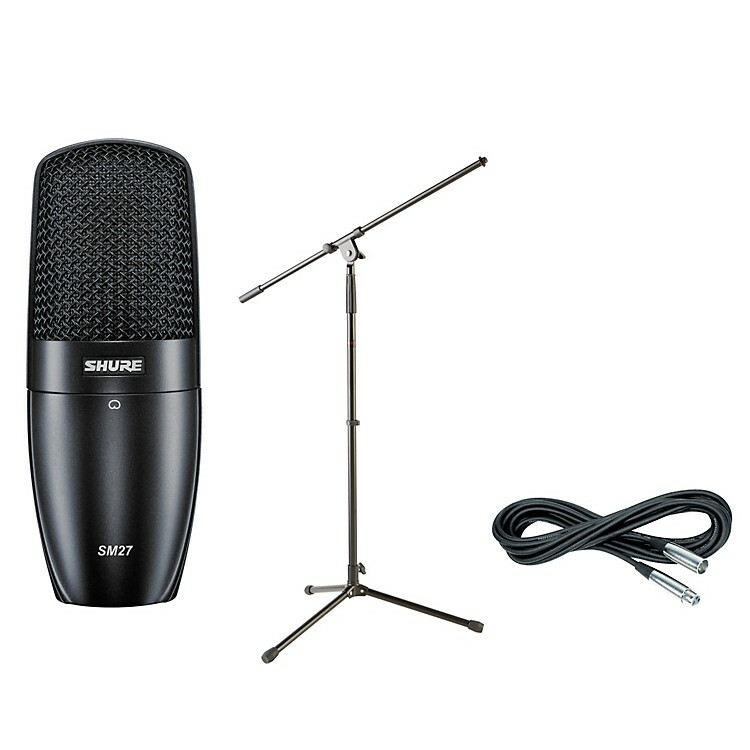 This specially priced Shure mic pack features the multipurpose, large diaphragm PGA27 condenser microphone, and comes with a Musician's Gear MS-220 tripod microphone stand, as well as 20' of Gear One XLR cable. Designed with a flat frequency response for natural reproduction, the Shure PGA27 side-address cardioid condenser microphone features a large diaphragm and a high SPL threshold that handles a wide variety of acoustic, amplified, and vocal sound sources”with professional clarity and guaranteed Shure quality in every application. For serious-minded musicians, Gear One's XLR cables have the strength and durability to withstand more than everyday use. Since your mic cable is your sound, this XLR mic cable's superior wiring allows your signal to be quiet, eliminating frustrating hums, buzzing, and crackles. If you've got a wide range of miking needs, this Shure mic can handle them all. Order today!